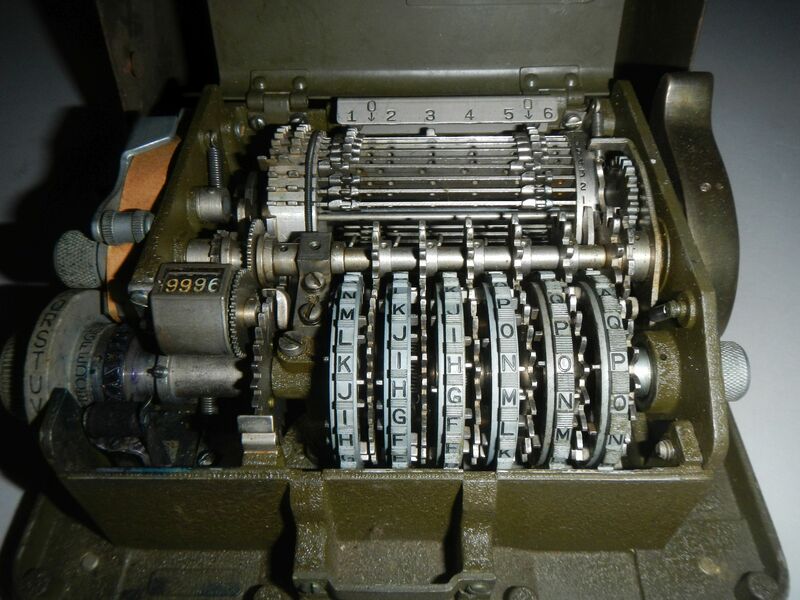 This is a US Army M-209-B cipher machine in complete and working condition. 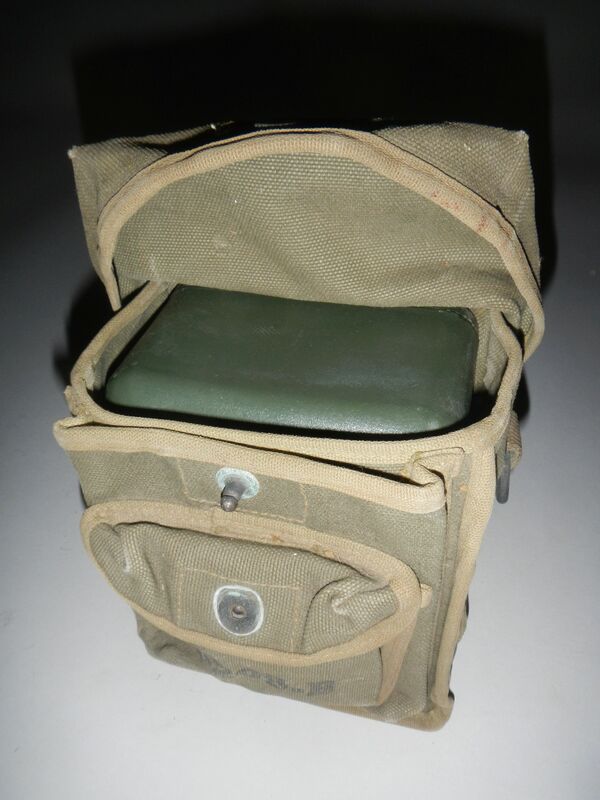 Included is the original canvas case, all accessories, a copy of the original operator’s manual, and spare paper tape. 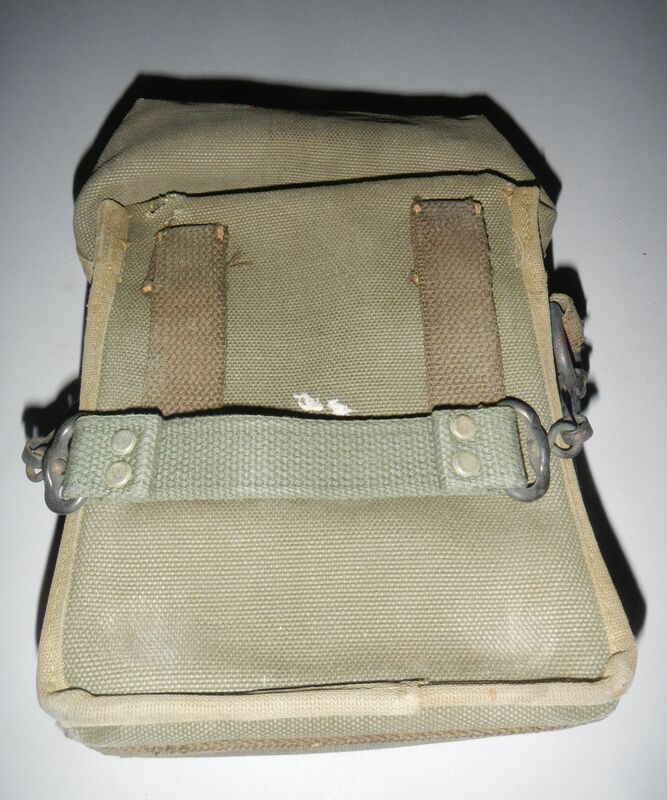 This is a very good example of a WWII-era M-209-B that shows evidence of being used in the field. 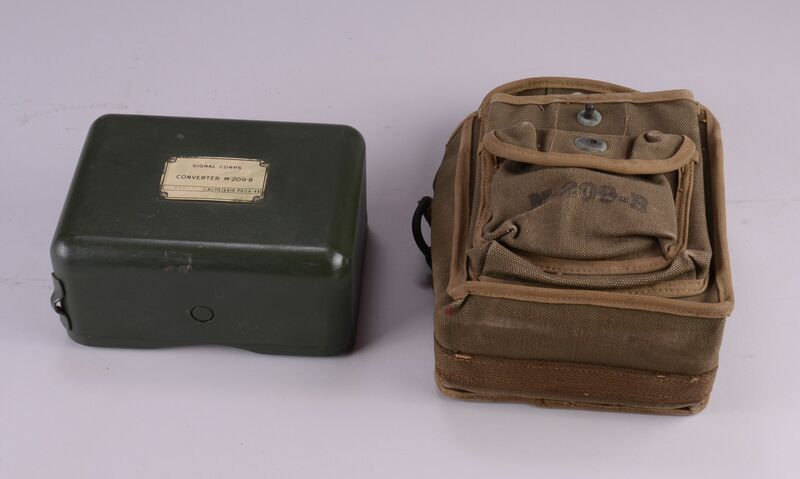 Signs of wear and use are evident on the metal case, canvas carrying case, and the machine itself and are characteristic of machines that have seen use with troops in the field. 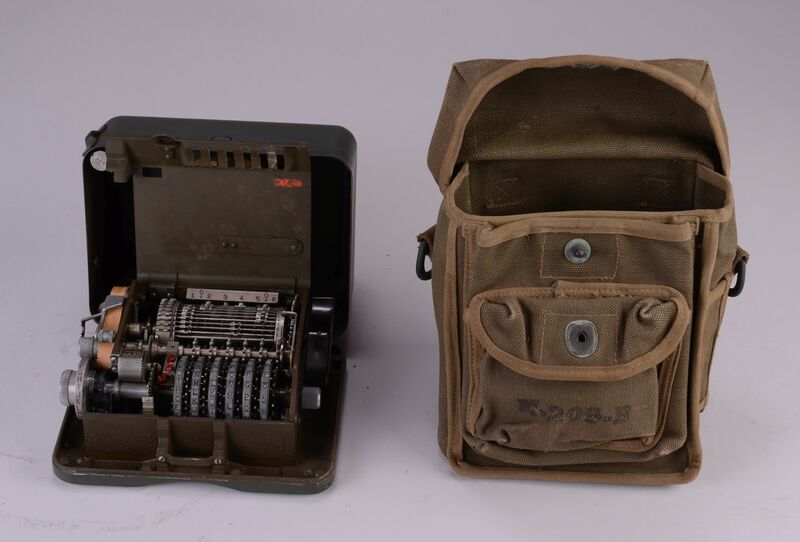 The M-209-B is a portable hand-operated mechanical cipher machine developed in 1940 by Boris Hagelin in Sweden for the US Army. The M-209-B is the model of this cipher machine that followed the M-209-A. The differences between the models were minor changes to improve manufacturing efficiency and all models were compatible with each other. This rotor-based cipher machine does not require electricity and is lightweight and durable. Therefore, it was perfectly suited for tactical front line use. 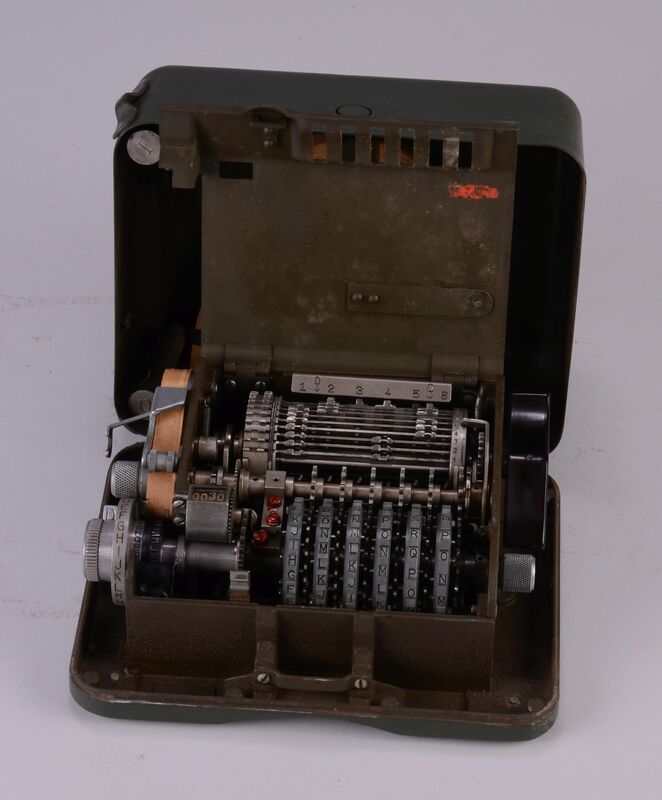 While the code generated by the M-209 was not as strong as the Enigma code, and could sometimes be read within 4 to 24 hours by the Germans, it was considered secure enough for tactical messages that were of no value after that length of time. The US military used the M-209-B in both Europe and the Pacific during World War II. 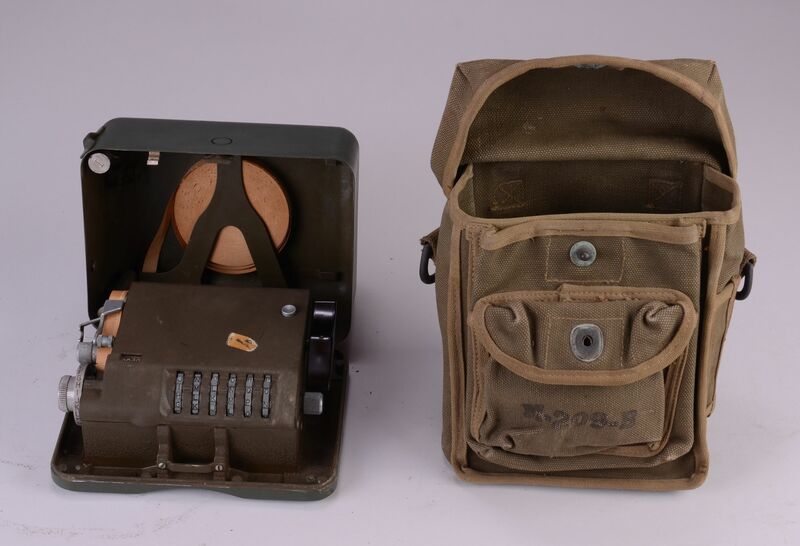 The M-209 cipher machines were easy to use and produce and were used by the US Army throughout the Korean War and into the early 1960s. 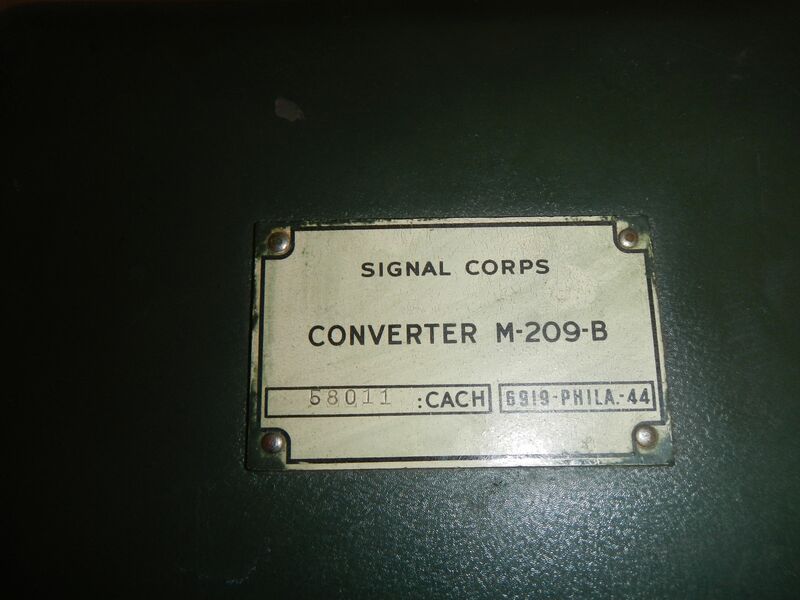 M-209-B cipher machines were manufactured under license from Hagelin by LC Smith Corona Typewriters, Inc., in Syracuse, New York. The machines were supplied with a canvas carrying case, paper tape, and an operator’s manual. Inside the metal case lid were more paper tape, an ink reservoir, lubricant, an adjustment screwdriver, and a pair of tweezers for feeding the paper tape through the machine. 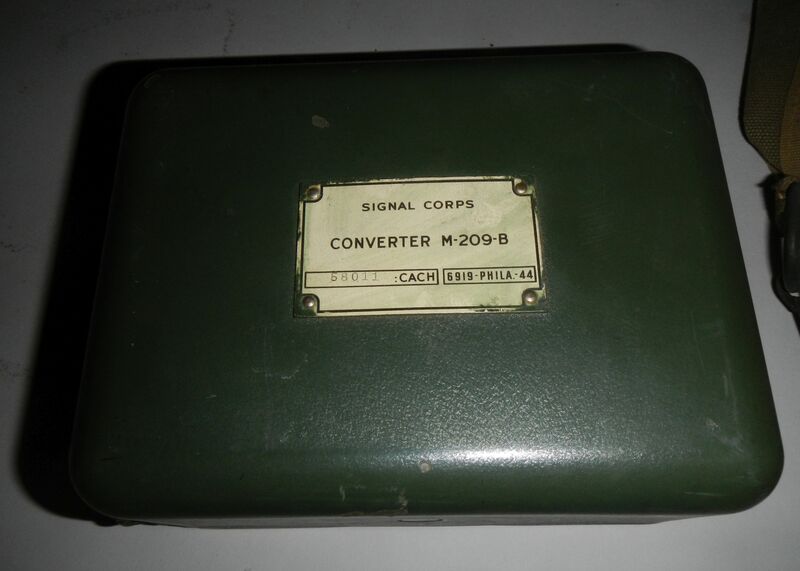 This M-209-B, serial number 58011, is available for sale and located in the United States. Price does not include shipping.